Right location at the right price! Move in now to this beautifully renovated home! KIT outfitted for a chef, w/ beautiful granite countertops, under cabinet lighting, SS appliances w/ built-in oven/micro & gas cooktop. Entire 1st floor has NEW elegant Hdwds throughout the open concept from the LR/DR to the KIT, breakfast nook, & FAM RM with gas FP. All NEW carpet & fresh paint. Spacious MST BD features trey ceiling. Relax in your MST BA Retreat w/ dual vanities, luxury tile, garden tub w/ separate shower, & ample space walk-in closet. Plenty of room w/ 4 BD & loft upstairs. Short walk to the clubhouse, pool & playground. 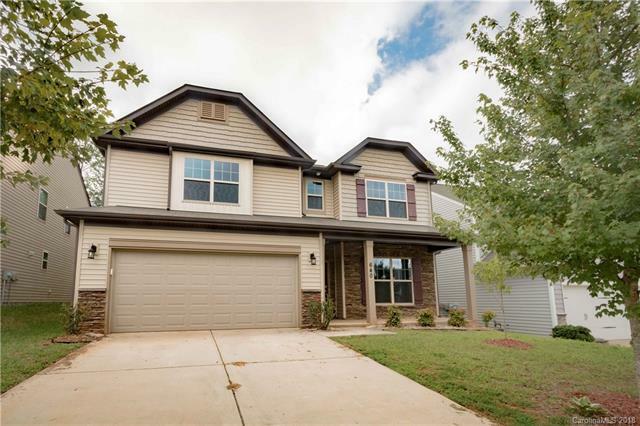 Located in a highly desirable school district, dont miss this opportunity to provide your family the best Fort Mill has to offer! Offered by Carolina Living Real Estate. Copyright 2019 Carolina Multiple Listing Services. All rights reserved.